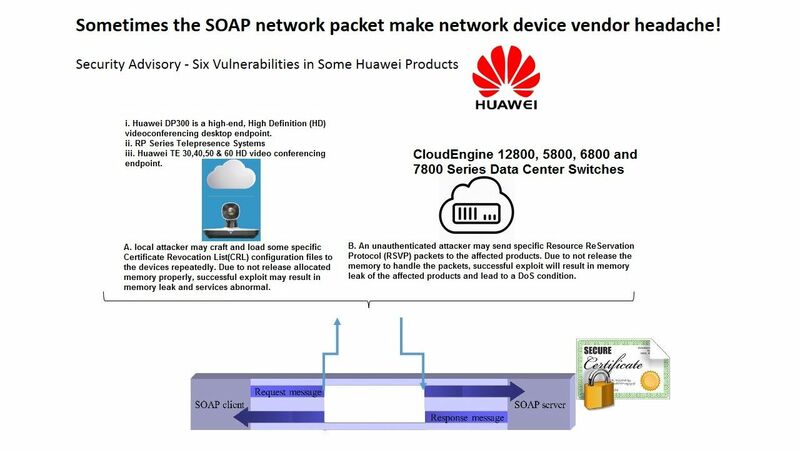 6 vulnerabilities in some Huawei products – The culprit,SOAP! The Simple Object Access Protocol (SOAP) invoking objects on remote machine. It is XML-based messaging thus run on top of HTTP/HTTPS. That is the reason why firewall cannot significant block them. An announcement issued by HUAWEI. For more details, please refer below url for reference. 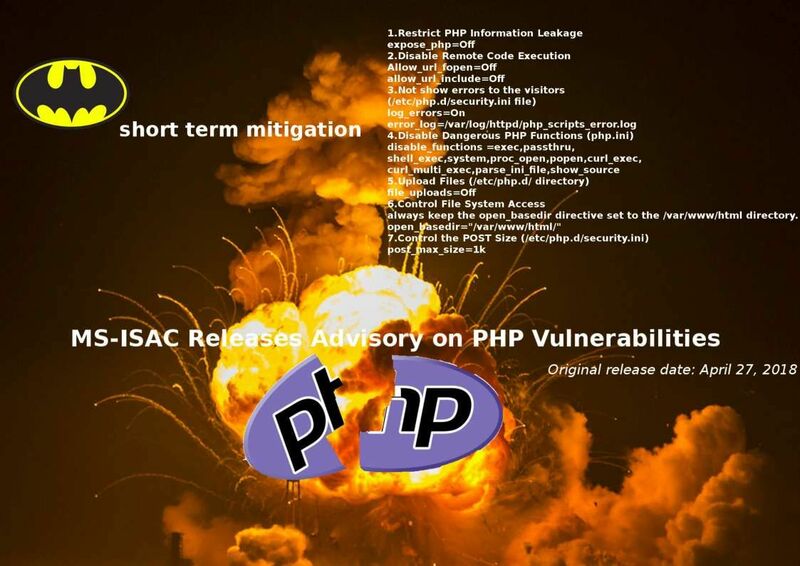 The security issues are typically exposed when PHP code makes use of system-level calls. See whether any short term remediation can take before upgrade? always keep the open_basedir directive set to the /var/www/html directory. 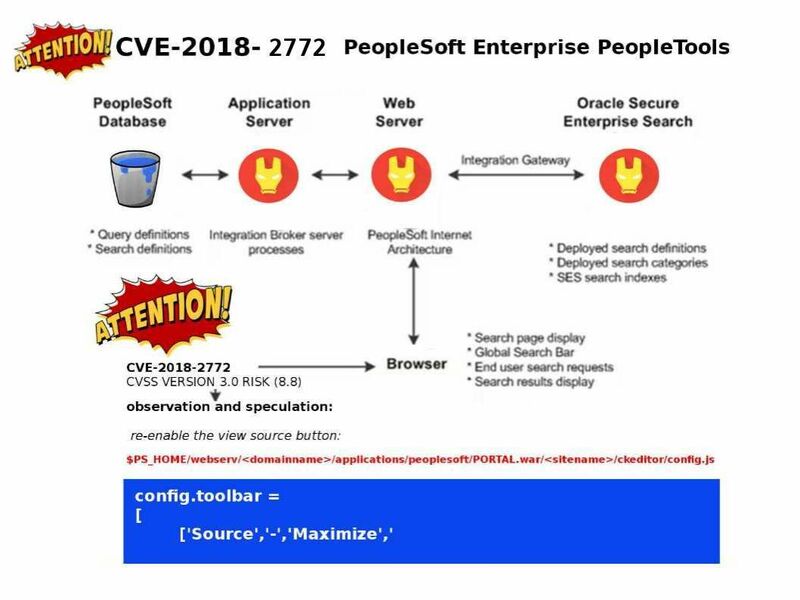 Successful attacks of this vulnerability can result in unauthorized update, insert or delete access to some of PeopleSoft Enterprise PeopleTools accessible data as well as unauthorized read access to a subset of PeopleSoft Enterprise PeopleTools accessible data. Official announcement shown below url for reference. CVE-2018-0229: See whether is there any attack make use of this vulnerability transform another type of attack in future? Seems firewall administrator do not take the single sign-on authentication method in firewall. Perhaps it can’t fulfill audit requirement. 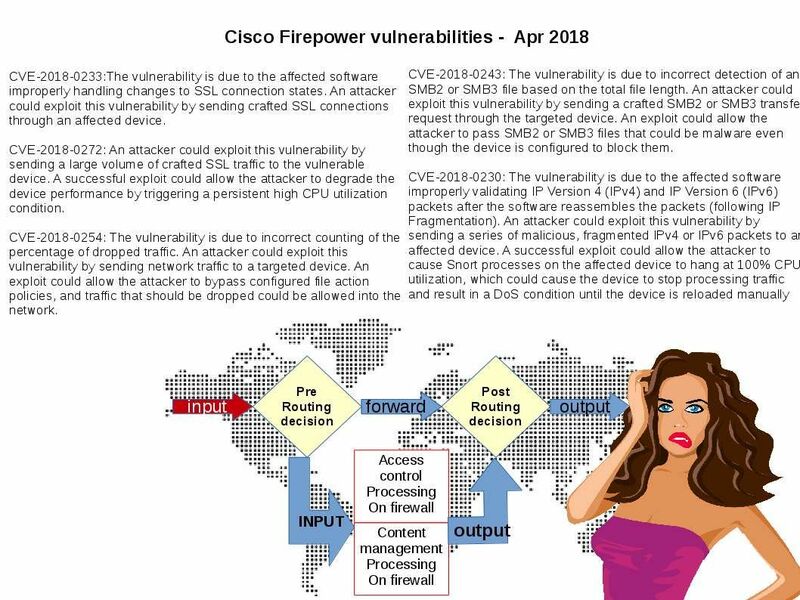 Cisco found SAML Authentication Session Fixation Vulnerability. The vulnerability exists because there is no mechanism for the ASA or FTD Software to detect that the authentication request originates from the AnyConnect client directly. An attacker could exploit this vulnerability by persuading a user to click a crafted link and authenticating using the company’s Identity Provider (IdP). My concerns is that see whether is there any attack make use of this vulnerability transform another type of attack in future? 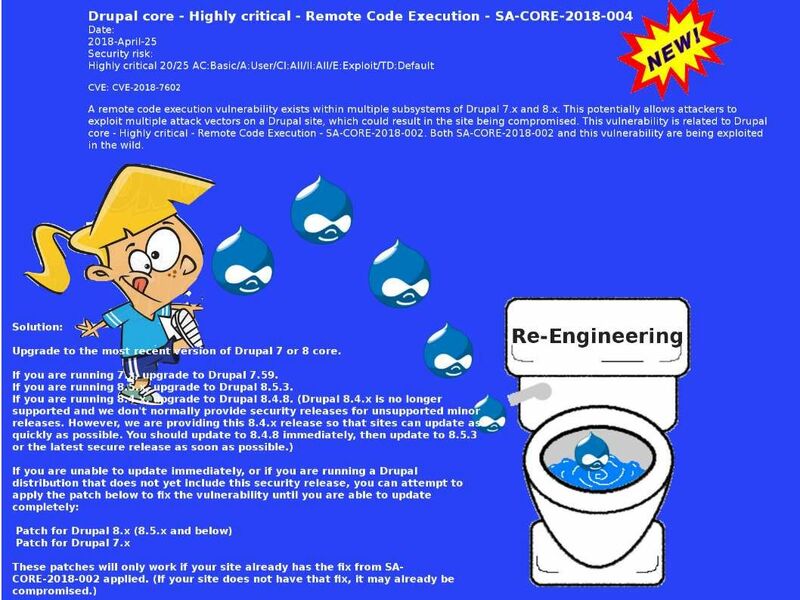 Perhaps we urge the developers to do the re-engineering the core. 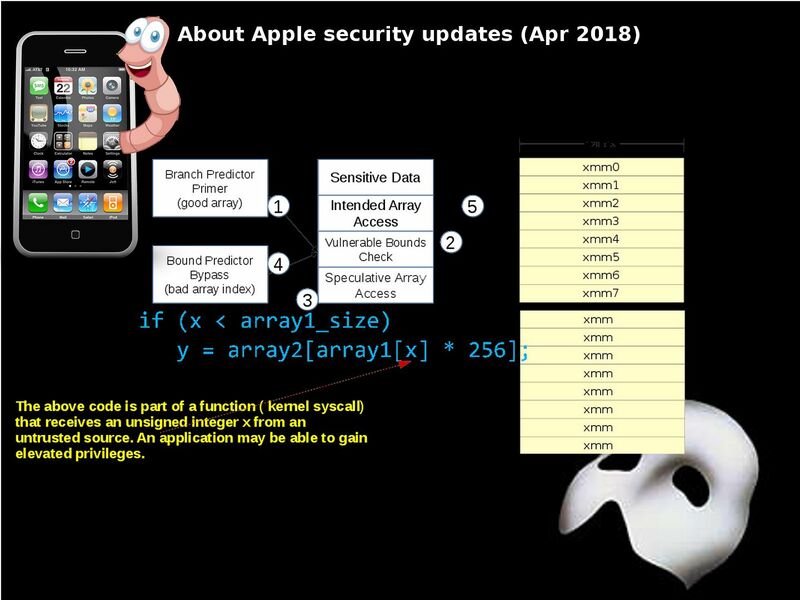 There are 2 times of critical vulnerabilities happened within 1 week (18th Apr 2018, 24th Apr 2018). 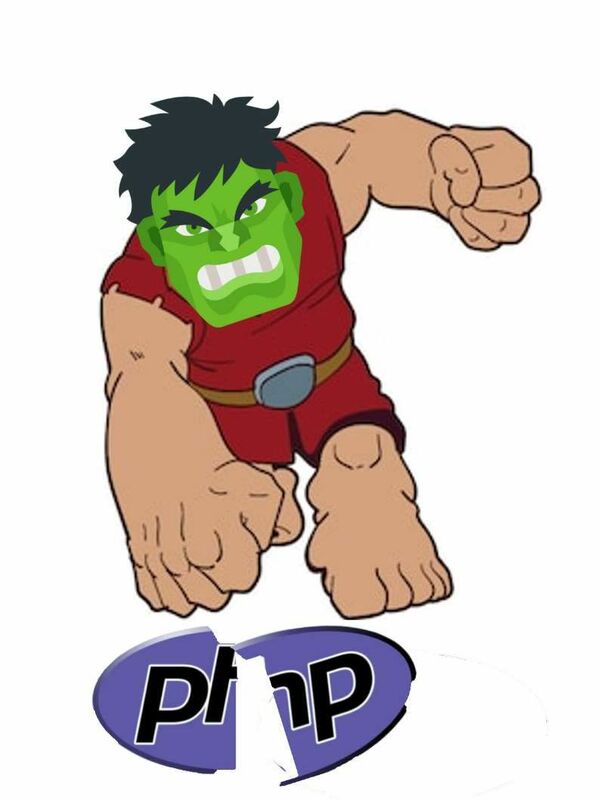 It provide a bad reputation of the brand. The founder is better to end the life of this product then make a new generation of CMS system. Be alert! 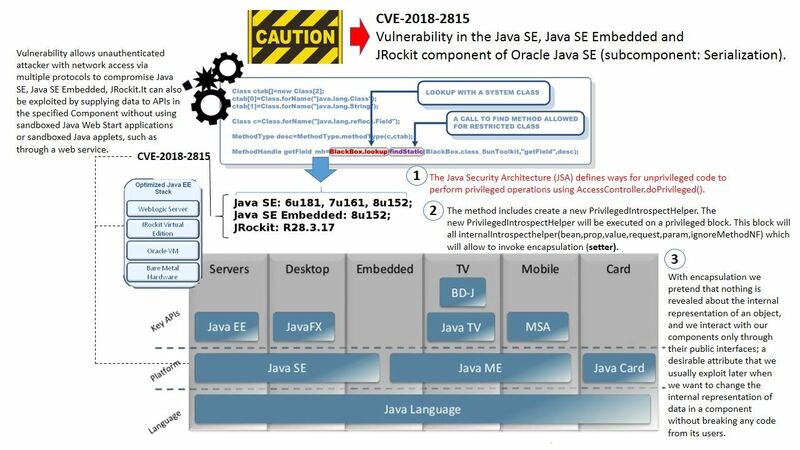 Vulnerability in the Java SE, Java SE Embedded and JRockit component of Oracle Java SE (subcomponent: Serialization). 2. The method includes create a new PrivilegedIntrospectHelper. 3. The new PrivilegedIntrospectHelper will be executed on a privileged block. This block will all internalIntrospecthelper(bean,prop,value,request,param,ignoreMethodNF) which will allow to invoke encapsulation (setter). With encapsulation we pretend that nothing is revealed about the internal representation of an object, and we interact with our components only through their public interfaces; a desirable attribute that we usually exploit later when we want to change the internal representation of data in a component without breaking any code from its users. ISPs tend to restrict what an end customer can advertise. However, any ISP do not filter customer advertisements. 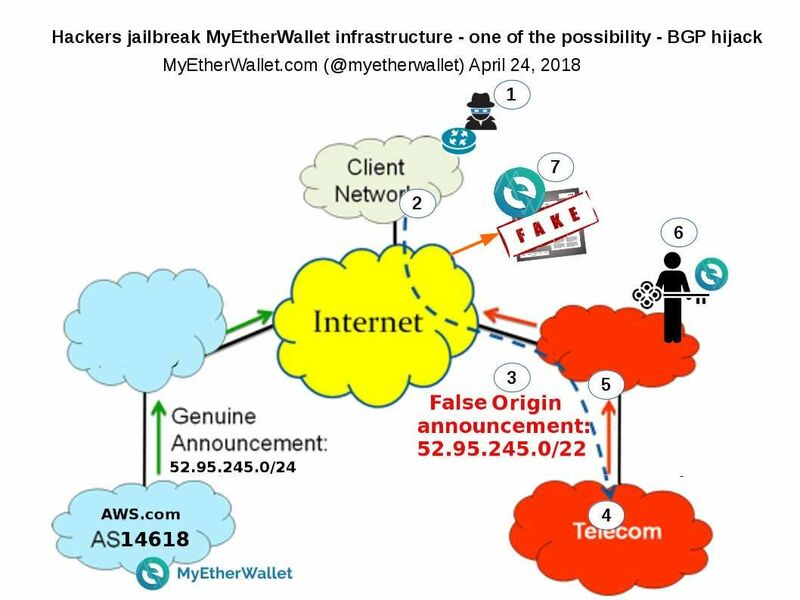 A possible factor let’s hacker compromise the customer router thus advertise errant information into the global routing table. An attackers stolen at least $13,000 in Ethereum within two hours. Security expert speculate that it is a DNS attack. But many attack method can be used. For example: BGP hijacking. The scenario displayed on above diagram. 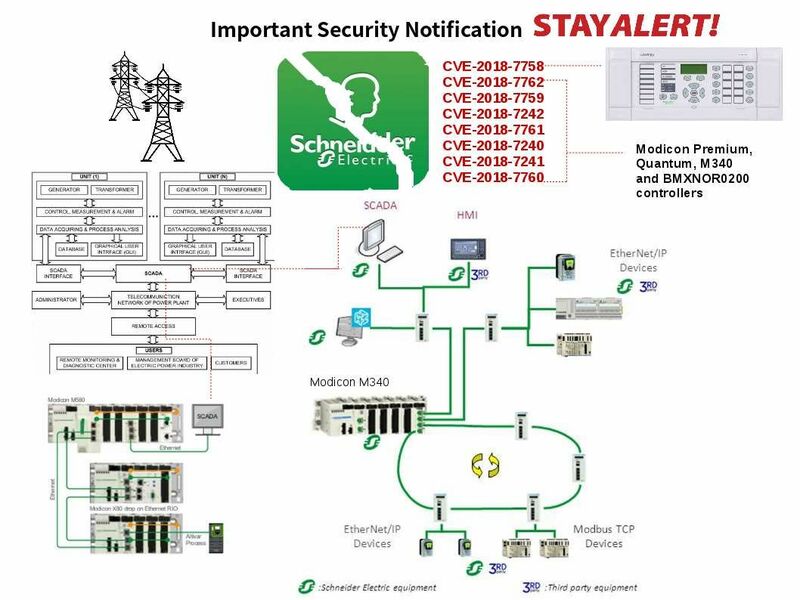 A flaws found in Schneider Electric’s Modicon M340 PLC Station P34 Module human machine interface (HMI) software since 2015. An official announcement by vendor since last month till now. From techincal point of view, Modicon product series programmable logic controller has large usage in electric, gas and oil supply industry. So related party must stay alert!